There’s something about a signature cocktail that makes any event seem more grown up – even if you’re really spending your day egg hunting and trying to head off a Grandma-induced sugar rush. This easy to whip up, grown up treat are a perfect addition to your spring festivities! 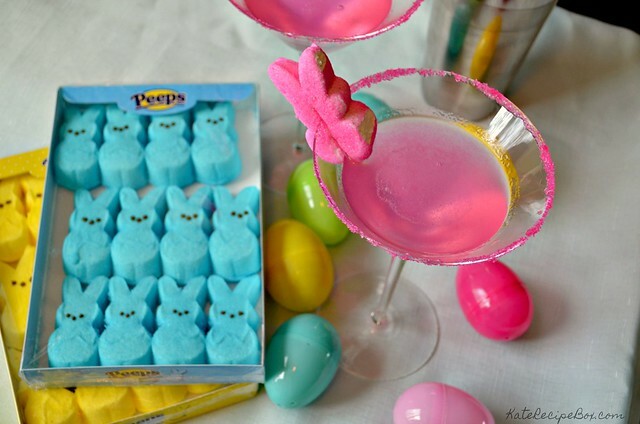 For these, I made my own Peeps-infused vodka by soaking Peeps in a cup of vodka for a few days. I left the jar on the counter and just shook it whenever I happened to be walking by and thinking of it. 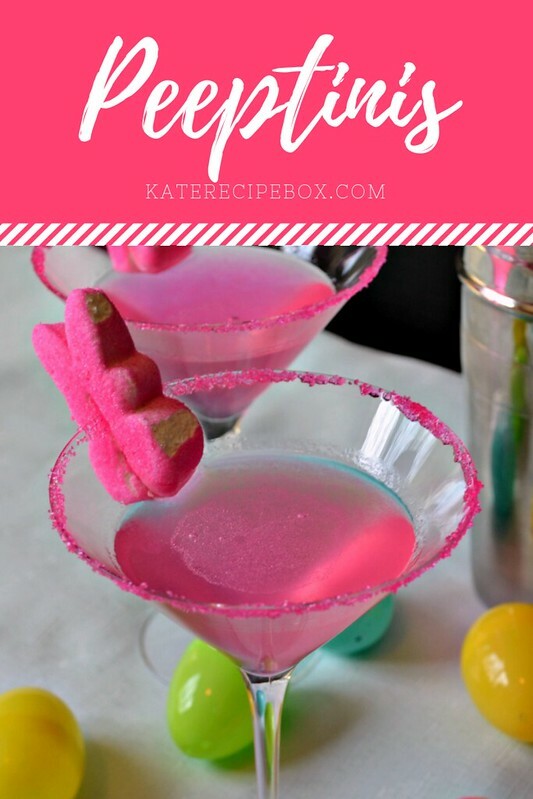 If you’re pressed for time, though, you can use a marshmallow-flavored vodka and skip this step! Combine 12 Peeps and the Vodka in a mason jar. Shake to combine and let sit for 24-48 hours, shaking periodically. Strain out any remaining marshmallows. To serve, rim the glasses with pink sugar. Cut slits in the remaining four Peep bunnies so they sit on the rim. 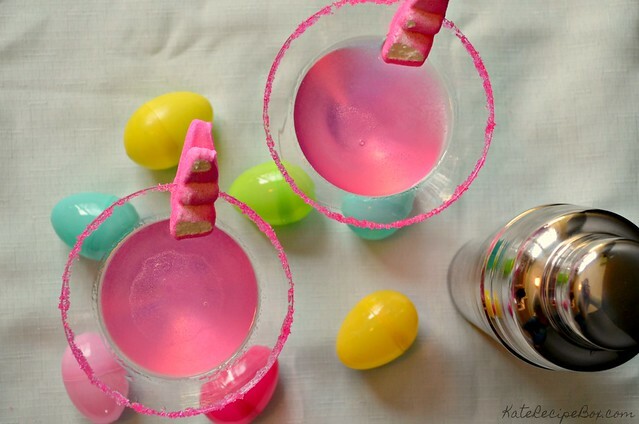 Combine the Peep-infused vodka with the cherry soda and divide between glasses. These are over the top cute! What a great treat for a brunch! Saving! These sound so yummy! I really want to try them. These look so pretty!! It’s a great idea of a way to use the rest of the PEEPS I have. Such a great looking color. I am definitely team bunny. I’m definitely team chick but I can be team bunny with these drinks! Did you say you made HOMEMADE Peeps vodka?! Oh my gosh. How fun is that! I love that you made infused vodka! What a fun drink, and so creative too! How creative and fun! I totally want to drink a neon pink martini asap! What a fun cocktail! Such great color!